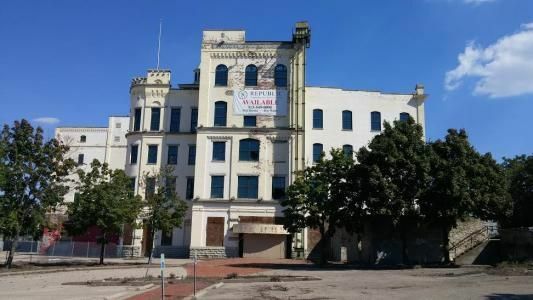 A date has been set for the owners of the Bavarian Brewery Building to appear in court to plead their case for demolishing the historic property. Columbia Sussex, the Crestview Hills-based hotel and casino operator, wishes to raze the sprawling, towering brewery building that sits along Martin Luther King, Jr. Boulevard and Jillian's Way near I-75. The owners have stated that the land is more valuable as a vacant lot than with the building which has been vacant since Jillian's nightclub closed ten years ago. The City of Covington disagreed, first through its Urban Design Review Board (UDRB), and then at an appeal heard by the city commission which ultimately rejected the demolition plans unanimously. The next step in the process is to appear at Kenton County Circuit Court where oral arguments will be heard July 2 at 2 p.m. before Judge Gregory Bartlett. Columbia Sussex had purchased the building in 2007 with the hope that Kentucky would pass legislation enabling a casino to be operated there. That never happened and the building has remained vacant.